We can all agree that Lady Gaga was the real MVP of last night’s Super Bowl—flying onto the field from the stadium’s roof, casually doing flips midair. During her halftime performance, she blessed us with fan favorites like “Poker Face” and “Bad Romance”, throwing in a few effortless outfit changes along the way—all in a day’s work, right? But her biggest surprise came this morning when she announced that she would be embarking on a world tour in support of Joanne, which will kick off on August 1 in Vancouver. August will be her busiest month in the US, where she’ll make stops at Chicago’s Wrigley Field on August 13 and New York’s Citi Field on August 28. After that, the “Million Reasons” singer will be heading to Europe for a month, making stops at the 02 Arena in London on October 9 and the Royal Arena in Copenhagen on October 21. After that, the New York native will return stateside for a second North American leg, visiting major Southern and Midwest venues before ending in Salt Lake City on December 14. Tickets for the first portion of the Grammy winner’s tour go on sale February 13—just in time for Valentine’s Day. We can’t think of anything better than treating your S.O. (or yourself), to one of this year’s most anticipated music events. 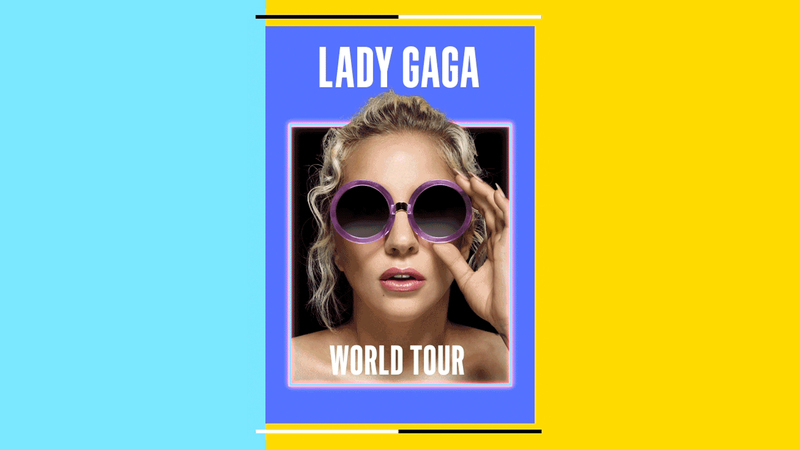 This is Gaga’s first solo tour since 2014, so grab those tickets while you can and be sure to track the vocalist on Bandsintown, so you never miss another one of her live shows.